Parks & Recreation Come join us and take part in our vibrant community activities! 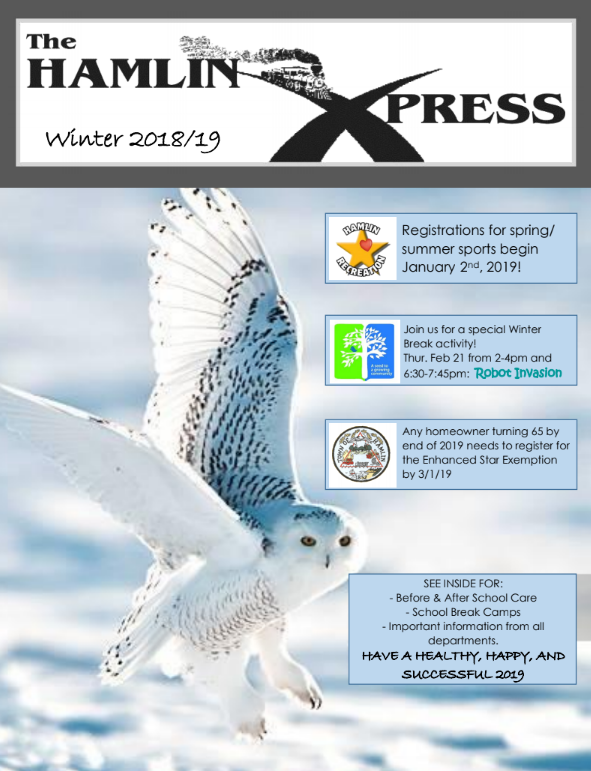 News & Events View the latest events & activities that Hamlin has to offer! Online Tax Portal Save time and a stamp, pay your property taxes online! Meetings & Agendas We encourage you to be an active part of our community! Recreation is an essential part of every person’s physical and emotional well-being. It also plays a vital part of the life of a community. Check out our Recreation services! 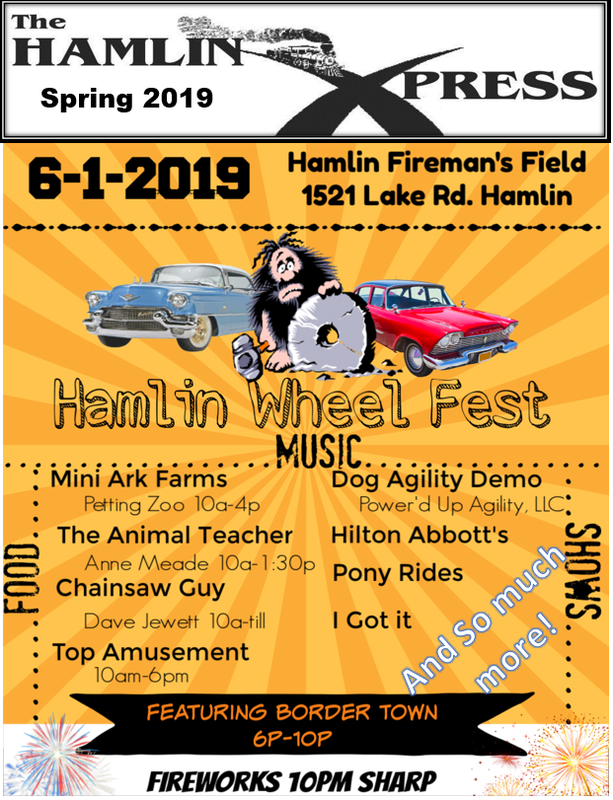 Check out the latest new & events in Hamlin and stay up to date with community happenings! Check out our new time saving Online Tax Portal! 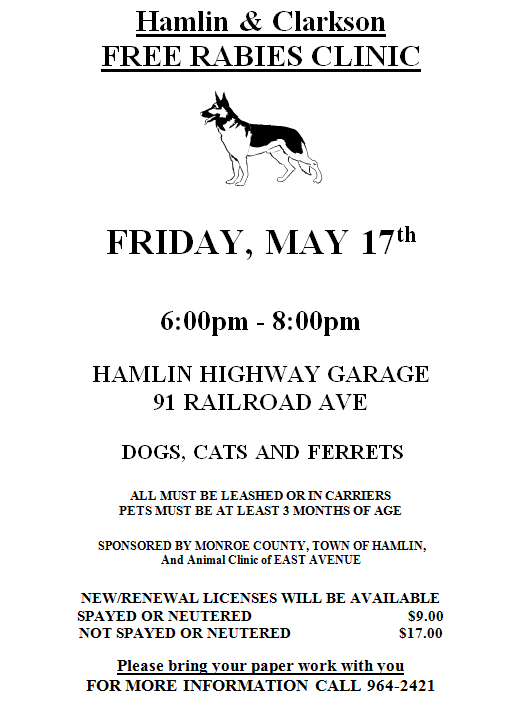 Come see what happened at the last Town Board Meeting! 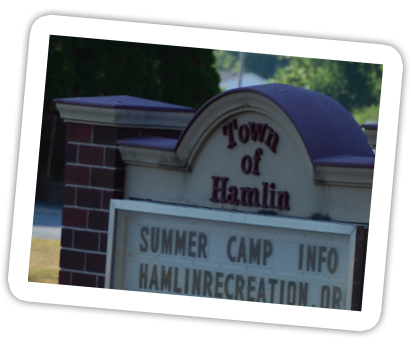 The Town of Hamlin was created as the "Town of Union," but was renamed in 1861 as the Town of Hamlin in honor of Lincoln's first Vice President Hannibal Hamlin. 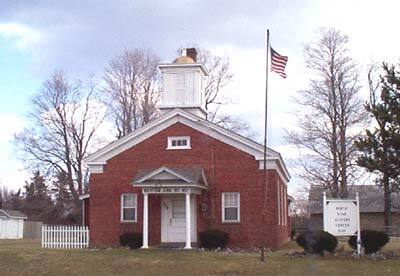 Hamlin was initially a part of the town of Northampton. The town of Murray split from Northampton in 1807, and split again into Union and Clarkson on December 14, 1852. The North Star School District No. 11 was listed on the National Register of Historic Places in 1983. THE ANNUAL OPEN BURNING BAN IS ISSUED FOR MARCH 16 - MAY 14, 2019. PLEASE CALL THE BUILDING OFFICE AT 964-8181 FOR MORE INFORMATION. The Conservation Advisory Board will be holding their Annual Tree Seedling Giveaway on April 20, 2019 from 9:00am - 11:00am (or until trees are gone) in the Town Hall parking lot. The seedlings available will be Colorado Blue Spruce, Eastern White Pine, Norway Spruce, and White Spruce. Come and get a seedling to plant in your yard! There have been concerns brought to the attention of the Building Department that many of the sandbags that were placed on properties during the flood event of 2017 are now deteriorating to the point that the bags themselves are compromised due to weather exposure and are shredding and pieces are blowing around. It is asked that all residents check their sandbags and to remove/replace them as necessary. The historian center will be open on Thursdays from 3p-6p throughout the Fall. 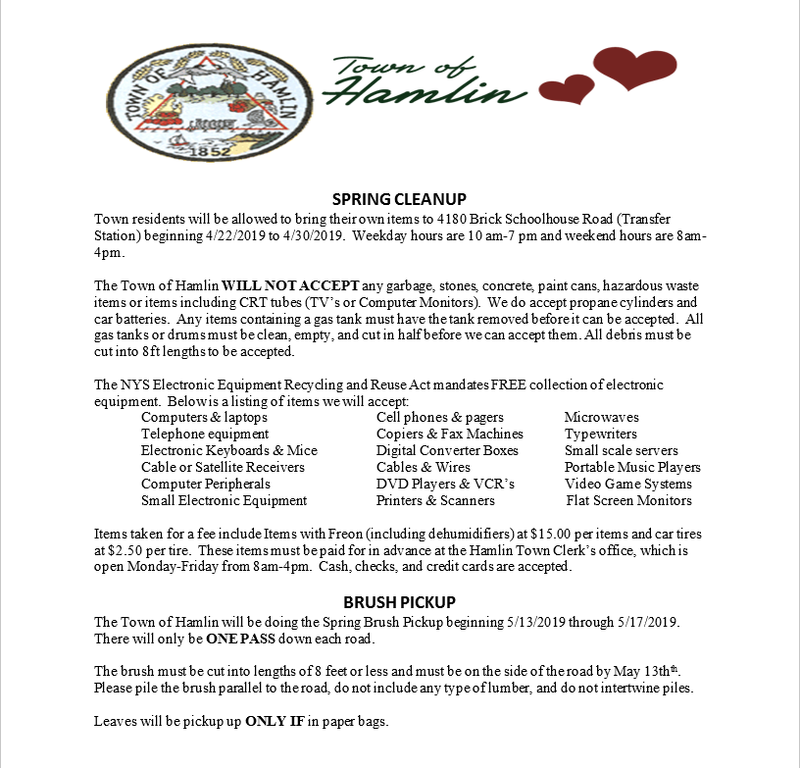 The Town of Hamlin will no longer be accepting any tube televisions and monitors at our locations, which are 91 Rail Road Avenue and 4180 Brick Schoolhouse Road. It costs the town .20 cents per pound to recycle them. Sunnking in Brockport accepts them for free. We apologize for any inconvenience. 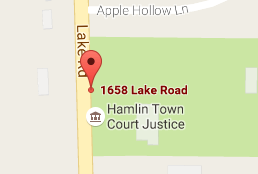 Located in Monroe County, and home to Hamlin Beach State Park, Hamlin is convenient to many area attractions via the scenic Lake Ontario State Parkway and nearby historic Ridge Road. Hamlin features a friendly, country atmosphere, convenience to Rochester, and is a short drive to many area attractions.